CPA Affiliates Network - Affiliate CPA network reviews and details. CPA Affiliates Network has an appetite for designing and maintaining a CPA based affiliate network. We support both existing and new affiliates in technique and practice to drive quality converting traffic of marketing campaigns to our advertiser websites for great sales commissions. CPA Affiliates Network is intended to be built into a global affiliate network which promotes a variety of quality offers from well-known advertisers around the world. Founded in 2012, we put constant effort to provide numerous offers of top brands of the affiliate industry. Moreover, we have negotiated some of the highest commissions available and will continue to bring affiliates the best CPA deals as well as gain more new advertisers and verticals as our network grows. You can check CPA Affiliates Network reviews and Offers on Affbank and ask CPA Affiliates Network Team any question by using the contacts above, especially about how to earn money! 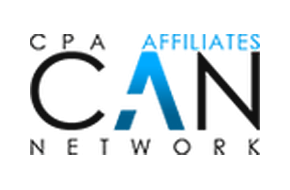 CPA Affiliate Network is one of a best network I’ve worked with. It has wide range of offers in all categories, and the also added some new offers as my request those I am familiar to work.